It’s time to get rid of your paper lists, messy post-it note systems and clumsy to-do list apps – Roll now does task management. We’ve been testing our task management feature with a few selected users over the last few weeks and after heaps of awesome user feedback (keep it coming) we’re super excited to now release this critical functionality to all our users. If you are one of the beta users you might already be familiar with the task area in general but you will notice a few improvements (yes, we’ve been listening to your feedback). 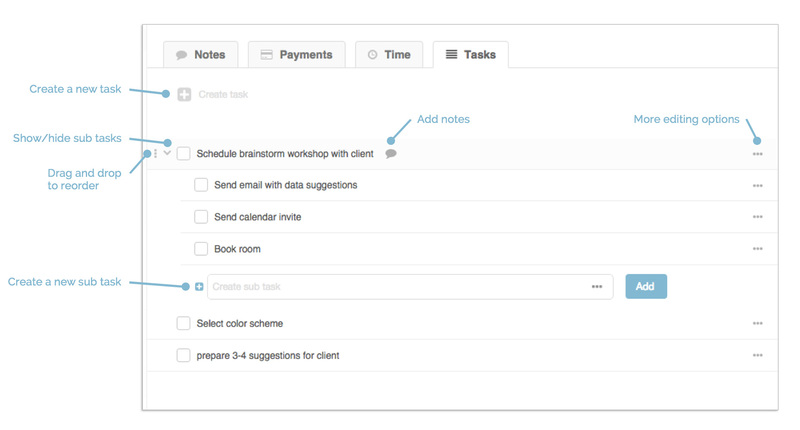 You can find the task area at the bottom of each project – Next to Notes, Payments and Time. Just open a project and scroll to the bottom. Set due dates for individual tasks so you don’t miss important deadlines (no more angry clients…). 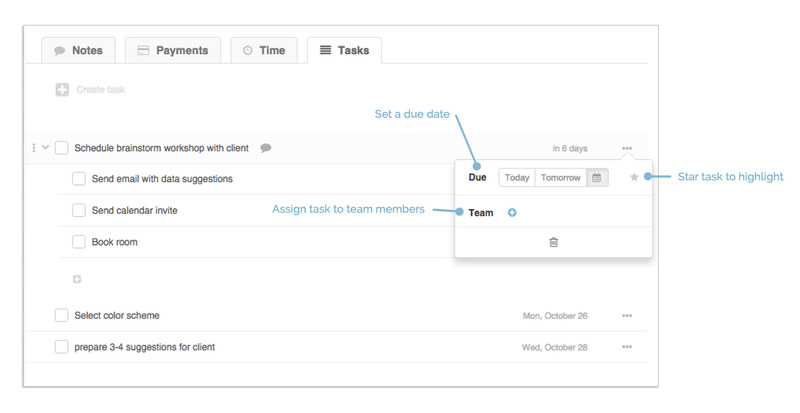 Add notes to tasks to keep track of important information and update your team members. Star tasks to highlight your most important tasks - or maybe the ones you like doing the most. Create main and sub task and easily move task around with our simple drag and drop functionality - turn sub tasks into main tasks and vice versa or move a sub task under a different main task. The new task area is obviously the main part of this feature release. But our super star developers also found the time to make some general usability improvements and fix a few bugs some of our users have come across. So you might notice a few other little improvements when using the software. Now that this release is out of the way our developers are taking a well deserved break. Yeah right…. Not that they don’t deserve a break but right now we’re all just too excited about all the other features we’re working on. So no breaks for us. The next big things you will see soon are a ‘My Tasks’ area where you can see all the tasks assigned to you and improvements to our time tracking feature (rumour has it there will be a start / stop timer soon…). So lots to work on for us and lots to look forward to for you.